Eser Aksan Erdogan has made a name for herself on social media as a jet-setter. Eser Aksan Erdogan isn’t exactly what you would imagine when you think about the typical jet-setting Instagram star. While most globe-trotting social media stars are usually found sitting back in First Class sipping on Champagne, Eser likes to take a more literal hands on approach – as an airline pilot. 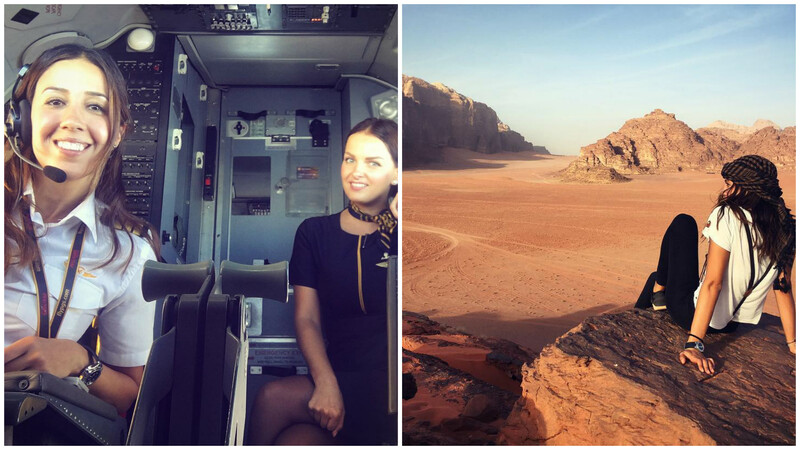 A regular pilot for Pegasus Airlines, Erdogan’s work has seen her fly to some of the most stunning destinations on the planet, as The Mirror reports. Whether it’s chilling on safari in Tanzania, exploring in Saudi Arabia or checking out the Northern Lights, the 31-year-old has seen more than most of us would manage in a lifetime. Her efforts have not gone unnoticed either, with Erdogan accueing an impressive 28,000 followers to date on Instagram. And when she’s not busy showcasing the many eye-catching destinations that her day job takes her too, she’s also happy to share snaps from her time in the cockpit. There will be plenty of guys and girls out there who grew up dreaming of one day becoming an airline pilot and the fact that Erdogan does that while looking pretty glamourous, to say the least, only adds to our seething sense of envy.